Boy, I've been waiting for Dark Horse to bring these guys back! Part of what lead me to discover Sin City and Hellboy were the Horse's 90's Predator and Aliens comics. Now Image Comics' Saga artist Fiona Staples is doing variants! So here's to acid dripping nasties and the gun-toting prey they munch on! What do you think? 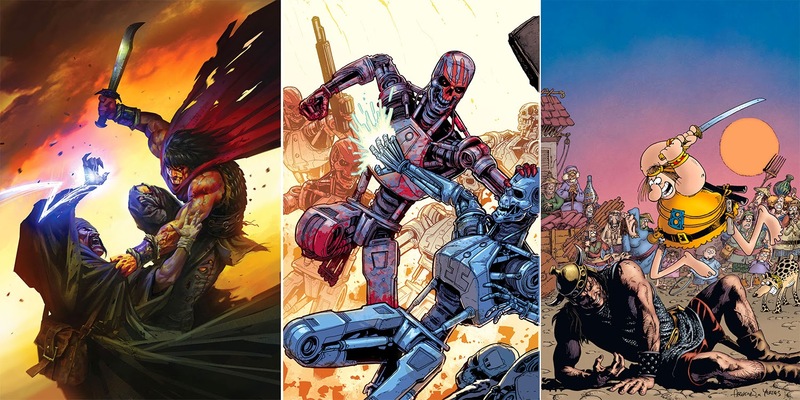 For the full list of Dark Horse Comics September 2014 solicitations, click the jump. I just want that cover on my wall. Holy cow. The more I see Staples the more I love her. 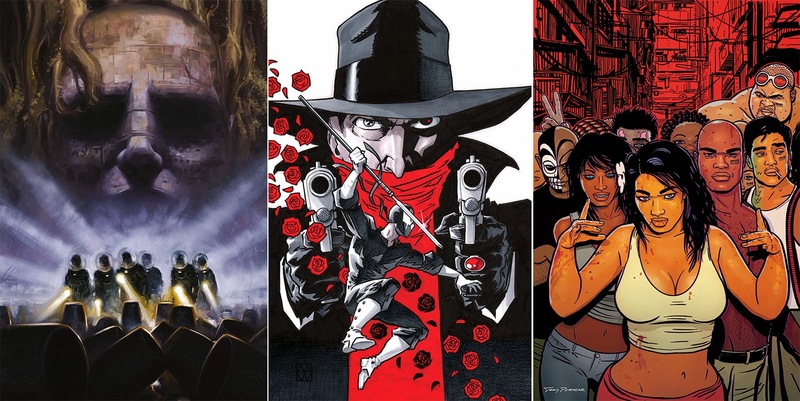 And while I'm not going to be grabbing any of these titles (what I really want this month is The City On The Edge of Forever, over at IDW) Dark Horse is certainly begging attention with that Groo vs. Conan. Groo vs Conan is a win-win concept huh. I'm just re-reading Kurt's Conan run - boy is it great stuff. 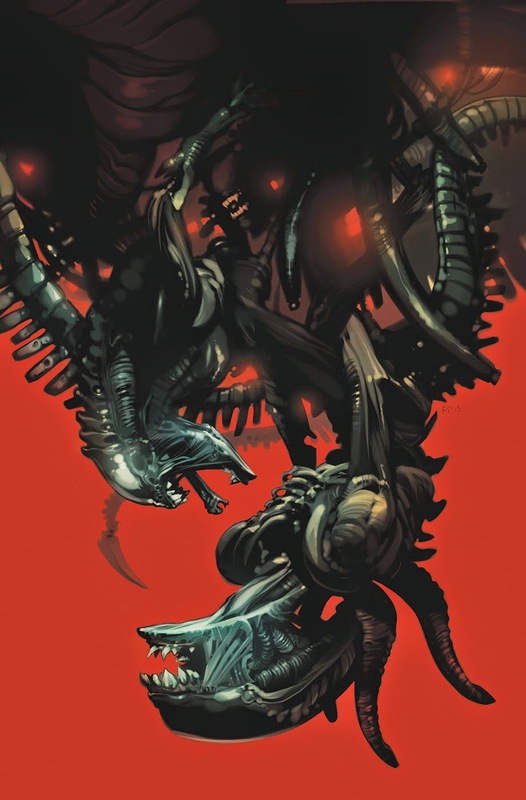 Love Fiona on the Aliens cover - she's done a lot of great variants for Archie lately, so hopefully when the Predator comics hit, she'll be all over those as well! There is only so much cool my brain can hold until you fry it Dan.